Bill Burton, who helped engineer the rise of Barack Obama from obscure Senator to the White House, has exited Democratic powerhouse firm SKDKnickerbocker, to join ex-Starbucks chief Howard Schultz's quixotic bid for the White House as an independent. SKDKnick co-founder Josh Isay, who was Chuck Schumer’s chief of staff and a member of the Obama campaign team, told staffers that Burton no longer works for the firm. While SKDKnick will have nothing to do with the Schultz effort, the firm’s top priority is “beating Donald Trump,” according to Isay’s email. 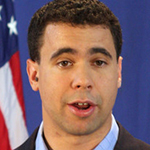 Burton was national press secretary for Obama for America and then deputy White House press secretary. In 2013, he joined Global Strategy Group as executive VP & managing director and left for the California MD slot at SKDKnick in 2015. Burton joined former Edelman vice chairman and John McCain advisor Steve Schmidt on the Schultz campaign. SKDKnick is owned by Mark Penn’s Stagwell Group.